Producers are saying that both kiwifruit and organic are on trend, and there is now the potential to market both of these as we come to the time of year when they're in season. 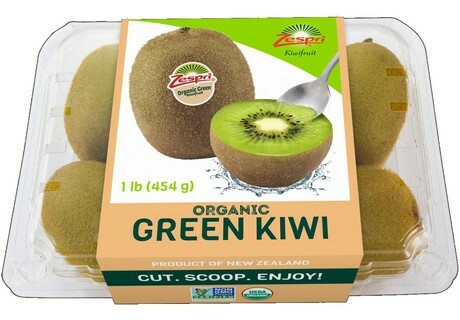 Zespri Organic Kiwifruit growers joined Ford at the recent Organic Produce Summit, where they discussed the promise that the North American market holds for organics and gained a greater understanding of market demands. Deaton says that the kiwifruit category is growing at a faster rate compared to all other fruit sales, with SunGold contributing to category growth. “Efforts to build consumer awareness and trade confidence in both organic and conventional SunGold are really starting to turn the dial,” she said. She describes Zespri’s “A Real Snack for Real Life” SunGold campaign, which involves targeted digital media and social media outreach, digital coupons, streaming radio and traditional advertising.